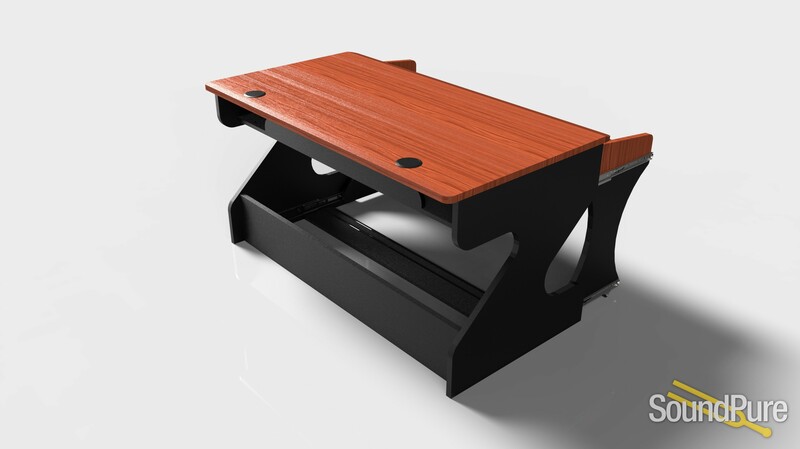 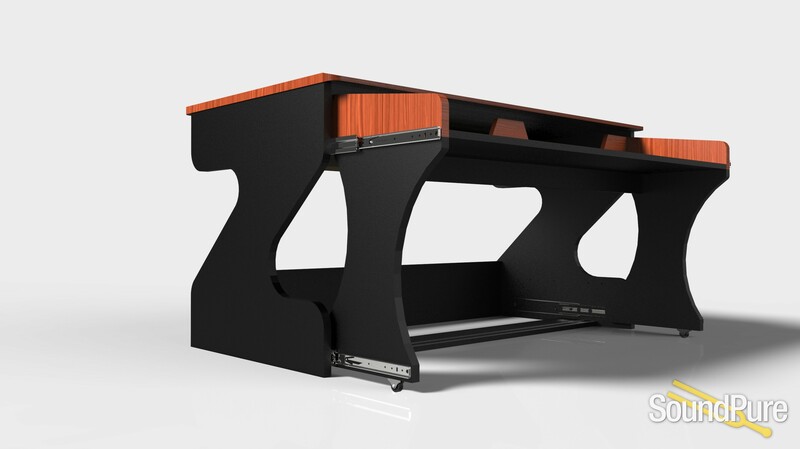 The medium ITB desk: space for screens, controllers, master keyboard, without racks. 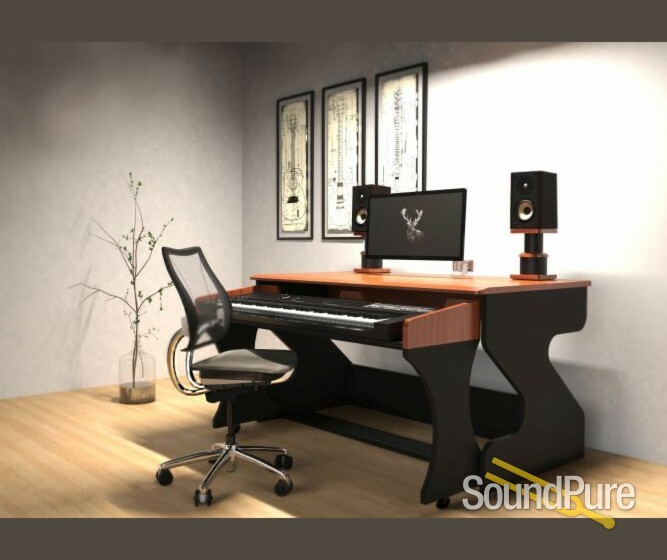 Zaor has given a lot of thought to the needs of the modern musician, producer, project studio, post production and created a platform, where the user decides precisely what he needs and where. 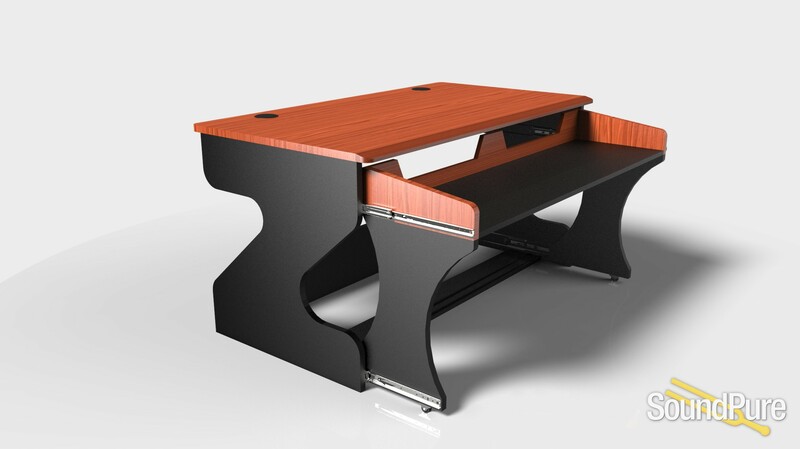 We created the basic desk: MIZA M.
The characteristic look of ZAOR with the big Z on the side, the huge drawer which leaves countless possibilities, from master keyboard, to small mixer, controller to the various machines and launch pads that are the tools of the modern DJ/producer will find their home in this huge and solid space, with a roll out system known from the popular MIZA 88 XL and MIZA X.